BoothSaver™ 2045 Single Tacky Film is coated on one side with a paint-shop safe, residue free, high tack adhesive for quick and easy adhesion to substrates. The top side is a non-adhesive, chemically resistant, environment-friendly film that can be easily cleaned during routine maintenance periods. 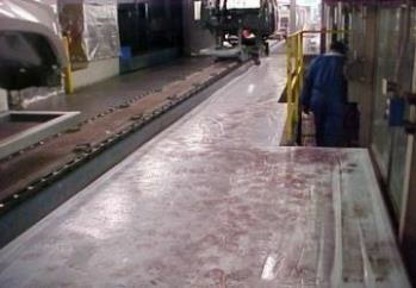 This film is available in “clear” and “white” and can be used on paint shop floors, conveyors, walls, windows, and equipment to protect from overspray, dirt buildup and paint tracking. Easy application and residue free removal. 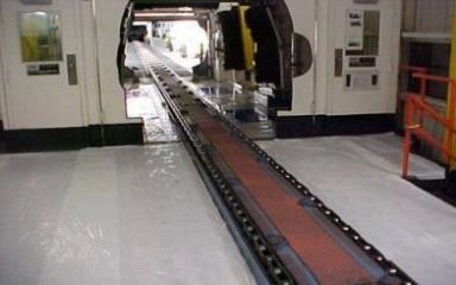 Protects floors & walls from contamination. Resistant to most paint shop chemicals. White film improves visibility and brightness.